The difference between podcasting and streaming are few. It involves the hardware of your computer, your Internet connection and how you wish to listen to your downloads or watching the media. A podcast is a special audio or video recording that is released in installments as part of a series. Podcasts are typically downloaded directly to your computer for listening on a computer or external media device like an MP3 player. Some files can be copied to a CD or DVD for play in a CD player or DVD player respectively. Download the file straight from a podcast's website. This means you'll need to visit the site often to find new updates. Most professional podcasters release new episodes on a regular basis. If a podcast offers an RSS feed for updates, that's your best bet. These days, web browsers allow you to keep track of RSS feeds. Use media software to automatically download podcasts for you. Proprietary software like iTunes and the Zune software check for new podcast episodes when it detects an Internet signal. The program downloads the podcast automatically and syncs it to an MP3 device for you. Use special podcasting software that makes it easy to record, convert and distribute your work through the Internet. Use any kind of recording software (video or audio) to capture what you want. You will have to do the converting and marketing of your work. The podcast name comes from combining the words "iPod" and "broadcast." It just so happened that many media creators formatted the podcasts for iPods because of their popularity, so the name stuck. 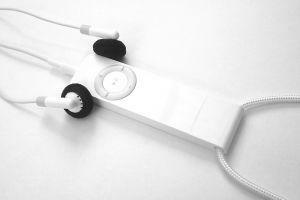 The truth is you can use any MP3 player to listen to podcasts. To stream media is to listen or view multimedia directly from the Internet. You don't actually download the audio file to your machine; instead, the file is downloaded from a host server in real time. All you need is a web browser, a high speed Internet connection and any of the latest plug-ins needed to play the file. Some plug-ins may include Flash and Shockwave for movies and Windows Media Player or another third-party application for music. Streaming requires wider bandwidth because data is being pushed through quickly to your computer. Think of a grain of sand traveling through a straw. Video and audio files take up more and more space the larger and longer the files are. Eventually, you may hit a limit and you'll notice lag or choppiness. That is one downside to streaming: if your connection isn't fast enough, you won't stream efficiently. The difference between podcasting and streaming mainly involves how you enjoy the video or audio experience. Podcasting needs an Internet connection only to upload or download. After that, you can listen to it on your computer or MP3 player away from the Internet. Streaming requires a high-speed connection and may be susceptible to lag. Knowing which option to use is determined by your target audience and the reason for distributing your multimedia. Podcasting is a great way to get your voice heard, whether it's political, opinion or for pure entertainment. Many who use streaming as a method of distributing are often filmmakers, animators or budding writers. The big difference between podcasting and streaming is that while streaming may get you a quick set of viewings, the true testament to your own quality is by how many loyal followers you get, which is more easily maintained through a subscriptions service, like RSS. This will keep your listeners coming back for more.